I bought a white sandwich loaf at the supermarket to make lunch for school when I come to NZ, 3 years ago. I bought it for $2. I was surprised it was cheaper and bigger than Japanese one. But it was tasteless. I think it was last time to buy the white sandwich loaf at the supermarket. Once I settle down to the place, I bake bread by myself. And I sometime buy them from bakery. 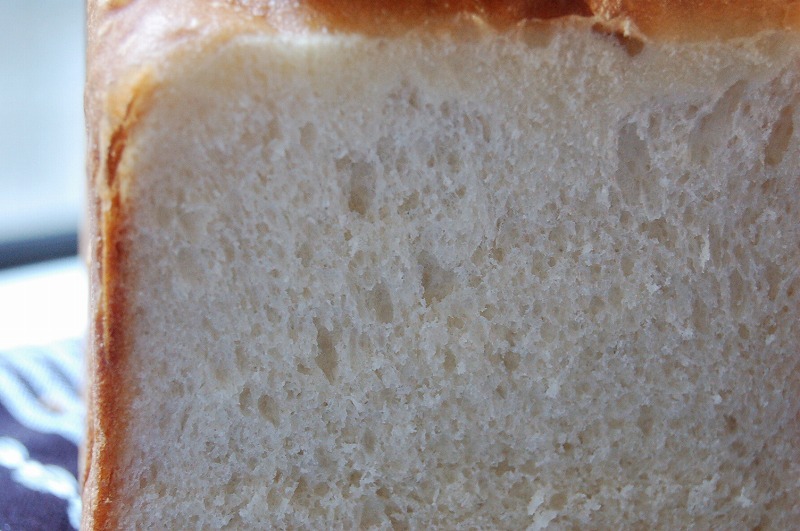 Today, I felt like I want eat soft and rich loaf which I ate in Japan. 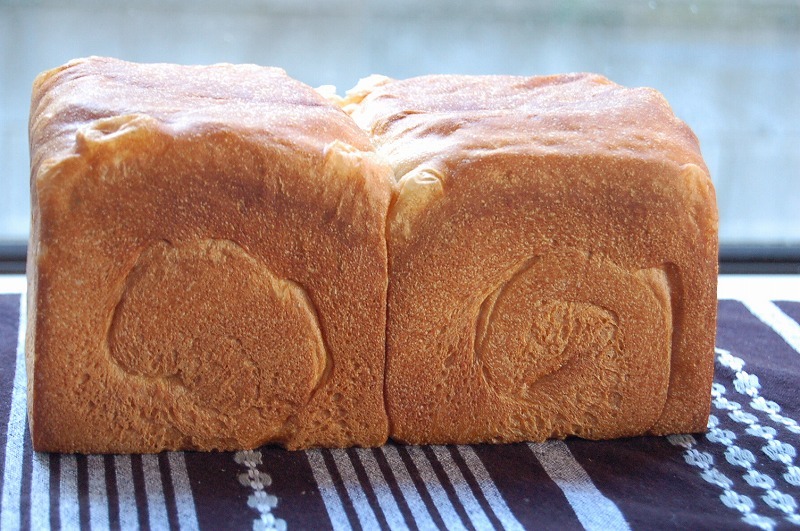 Pullman loaf is Shoku-pan in Japanese. 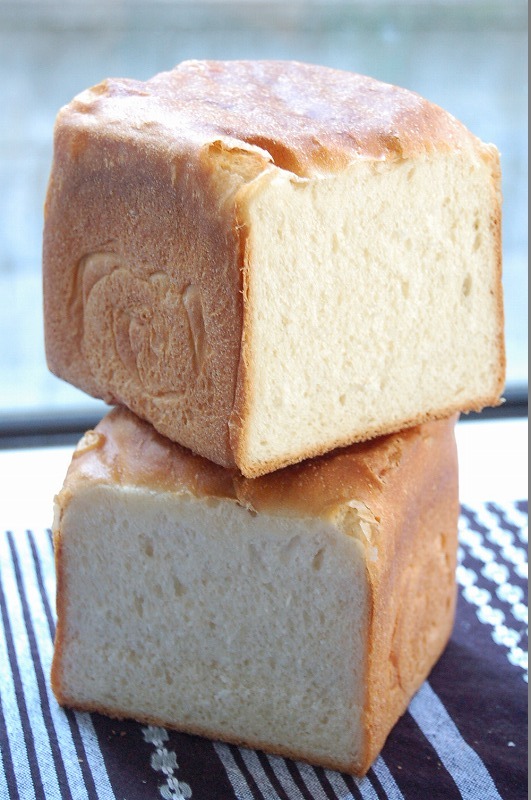 Japanese loaf is rich and little bit sweet. Do you know Hokkaido milk loaf? That is creamy rich and bit sweet, and Japanese favorites style loaf. This is important thing to proof enough before bake. The top of the dough has to reach 7/10 pan. And once take it out from the oven, you need to fling it on the counter, then take it off from the pan immediately after bake. Give the shock to the bread, then it will be easy to take it out. 1. In a stand mixer bowl, combine flour and sugar, salt, yeast together. Add warm milk (about 30 degreeds). Knead it for 10 minutes until it becomes elastic. Add soften butter and knead it another 5 minuts until butter combine well. 2. Put the dough into the oil sprayed container with cover, leave it warm place (20 - 30 degreeds) for 1 - 1.5 hours until it becomes double size. 3. Pour the dough onto the floured counter and deflate. Devide it into half evenly, and shape it round ball roughly. 4. Let it rest with cover for 15 - 20 minutes. Meanwhile spray or apply oil to the baking tin. 5. shape it into final shape. Pat one piece of the dough with your palm. Roll it out with rolling pin, make it 15cm ovall. Dont put too much presser, roll it out gently. Fold 1/3part of both sides. Fold 1/3 part of top-side. Fold it another twice (totally fold it 3 times). Seal it tightly using yiur finger tips. Put it into the loaf tin. Sealing have to be bottom. 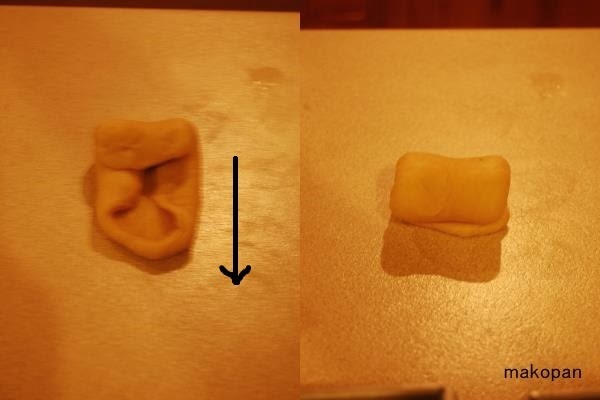 Shape it another dough and set into the tin as well. 6. 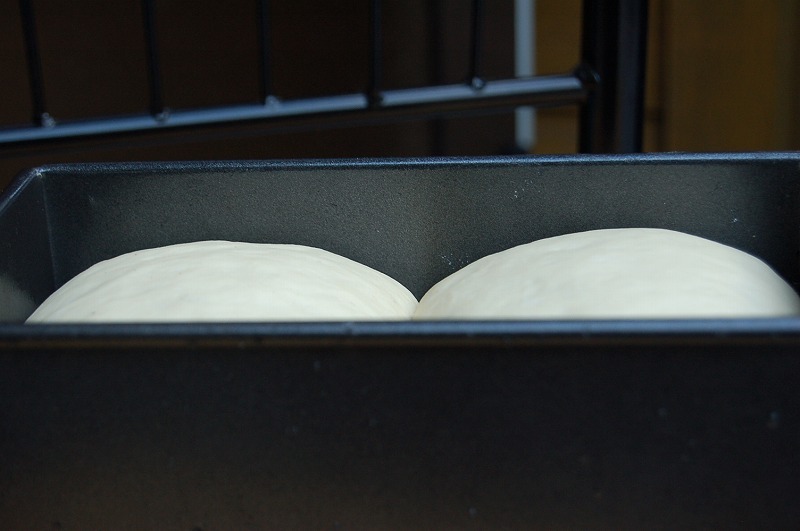 Let it rise with cover for 40 - 60 minutes until the top of the dough reach to 8/10 . Reheat the oven for 200 degreeeds. 7. Put the tin lid, and bake it for 30 minutes. 8. Take the bread out from the tin after bake. Cool it down on the wire rack. I really would like to try making this bread. 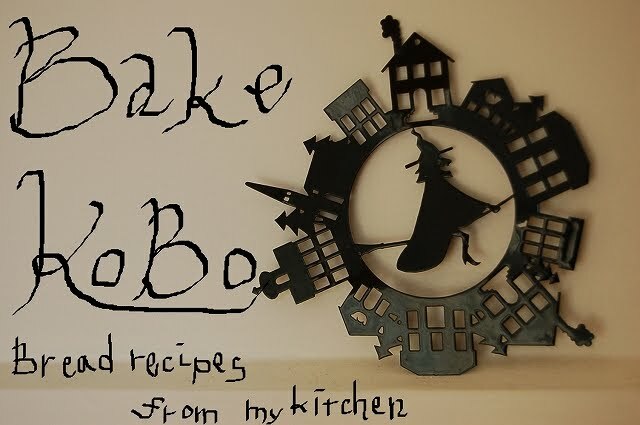 My wife and I love shokupan! Can you please give more detailed instructions for baking? I updated this recipe. I was suprised I didnt write how to make it.